Hey ladies! Have you been wondering how to get your skin out of the funk it’s been in? Well, you’ve come to the right place! Today I’m going to share a few of my best tips for clear skin. Tip #1: Take off your makeup every night. Admittedly, I don’t always adhere to this tip but it is one that needs to be strictly followed. If you’re feeling too lazy or have already gotten comfortable in bed, just keep a pack of face wipes by your bedside. It’s a lot easier to reach over to your nightstand and grab a wipe than it is to walk all the way into the bathroom to do a whole routine. My favorite wipes are the Simple Skincare Micellar Makeup Remover Wipes. These wipes remove all of my makeup and doesn’t leave a residue on my skin. I love them! Tip #2: Use a face brush. This is a step that I don’t skip. I definitely attribute my clear skin to the use of my Clarisonic. 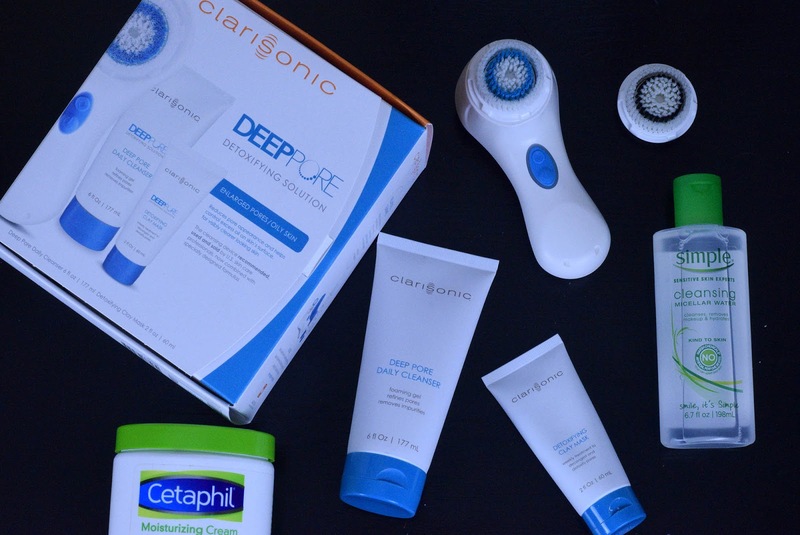 I’m currently using the Clarisonic Mia 2 Deep Pore set daily. 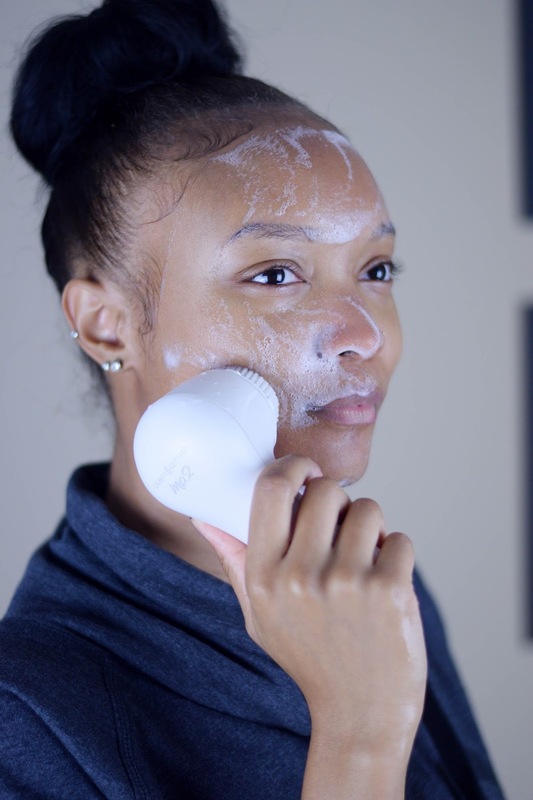 Clarisonic devices cleanse the face six times better than hands alone, and are gentle enough to use twice a day! This particular device has two speeds and is great for any skin type. The Mia 2 gently cleanses your skin and removes all of the dirt and oil that the makeup wipes didn’t get. Clarisonics are also great gift ideas and with the holiday season coming up, this is a gift anyone would love! 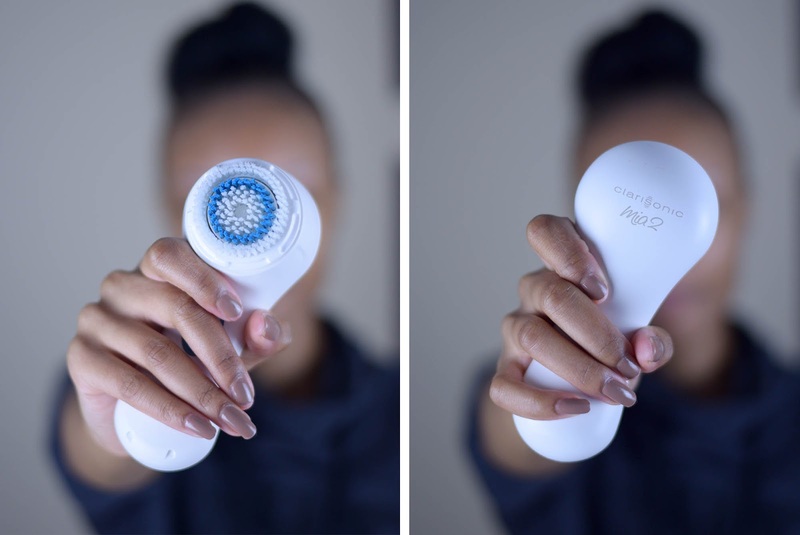 From now until November 20, visit http://www.clarisonic.com/hercampus and use the code HERCAMPUS to receive 15% off of your purchase. 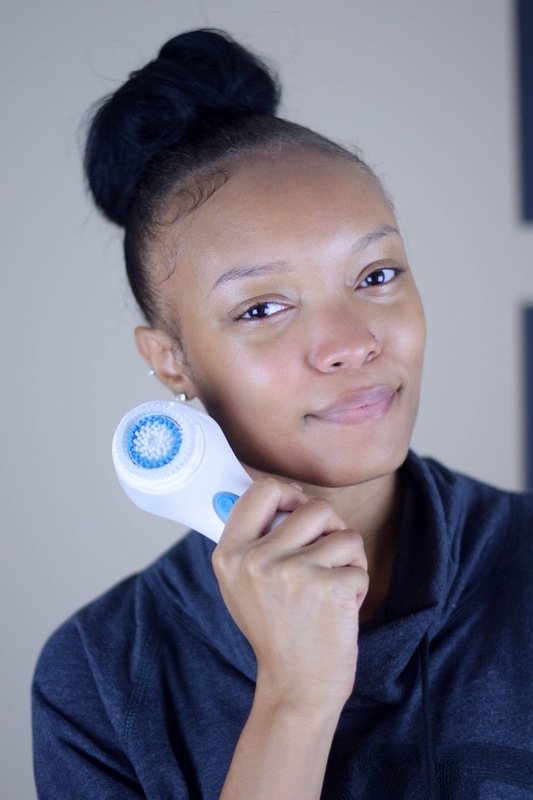 Love using my Mia 2 to cleanse my skin! Tip#3: Skip the toner & moisturize. If you suffer from dry skin, skip the toner! I go for a micellar water instead because it’s super gentle, removes excess oil, and is more hydrating than toners. My favorite micellar water to use is the Simple SkincareMicellar Cleansing Water. After “toning” my face with micellar water, I then make sure to moisturize. My favorite range of moisturizers comes from Cetaphil and I love using either the Cetaphil Moisturizing Cream, or the Moisturizing Lotion. The lotion is great for the summer, and the cream is best for winter months to keep your face looking and feeling great! I get the best results using a face brush to cleanse my skin. Try out these tips and you’ll be seeing clearer skin in no time! Check out my skincare routine video here and don't forget to subscribe while you're at it! FTC Disclosure: This post is sponsored by Clarisonic and Her Campus Media. All opinions are my own.